Recently a pal came back from Peru with photographs she took with me in mind. Most were religious statues where the saints created long ago looked startling like today’s hipsters. 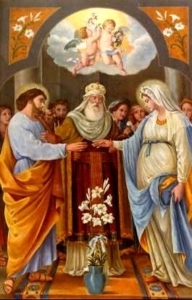 The image that really caught my eye was a painting of Mary and Joseph’s wedding. Obviously, we all know they got married but it was an event I never gave an iota of thought to or recall being mentioned. 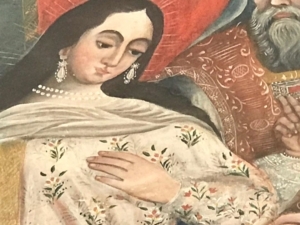 In this painting Mary looks particularly fetching wearing a long pearl necklace, pearl earrings and a star laden cape that looks startling similar to the one she wears 1,500 plus years later when visiting Juan Diego here in Mexico. So impressed with the image I made copies for the ladies in the biweekly painting class I visit specializing in images of the Virgin. 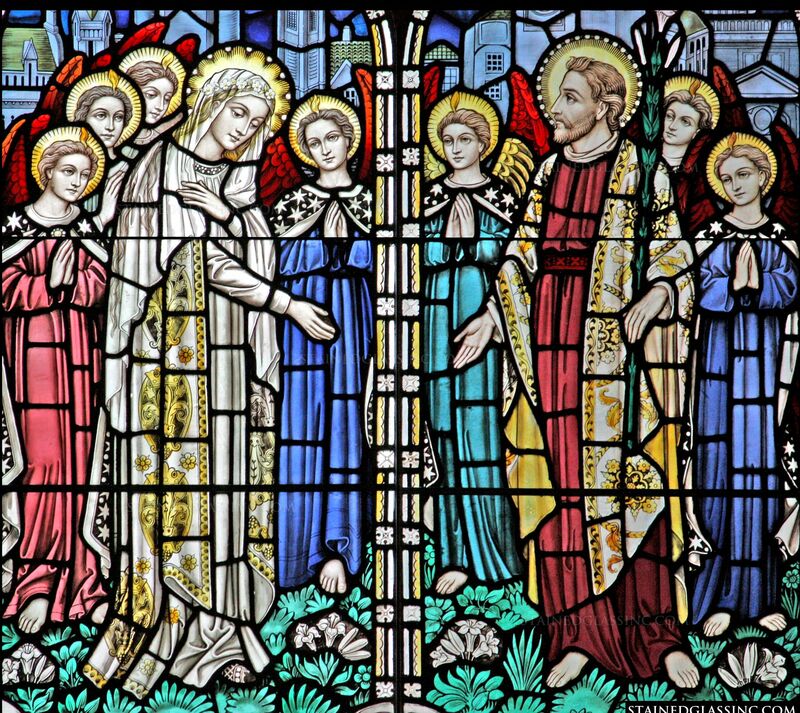 Turns out these women obsessed with Virgin had never thought of Mary’s wedding before either and were enthralled at the notion. One gal’s grandson was passing by and commented how that painting was in a priest’s quarters in the Oratorio. 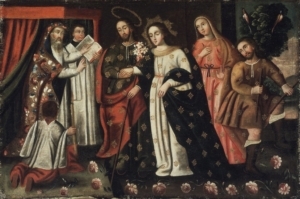 He later sent me an image and, darn, if a strikingly similar painting isn’t here in San Miguel! Goodness, we love weddings! Seeking to learn more I went to the font of all knowledge and posted the image on social media to learn more, and learn I did. 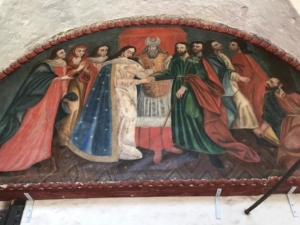 Turns out the image of Mary and Joseph’s wedding was new to me and my pals but is a favorite subject among painters as diverse as Raphael, Perugino, Giotto, Pieter van Lint and dozens of other masters. Another viewer described how the clergy’s oddly turned hand (anatomically impossible) was a symbol for blessing used in the Orthodox Church. Frankly, I was a bit more obsessed who the others at the wedding were though some wedding art only features angels as guests. 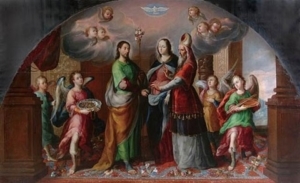 Like me, Mary was a middle aged surprise for her parents, yet no images feature an older couple portraying Anna and Joaquin, or Joseph’s parents. (Perhaps all four were dead.) Also no sign of the older Elizabeth, Mary’s cousin then pregnant with John the Baptist. Or Mary of Clopas, believed to be one of Mary’s half-sisters. Instead there is often a small bevy of similarly aged folks waiting around for the reception to begin as some look notably peckish and anxious to get the party started. I can only hope the happy couple splurged on a good band!